Surrounded by swaying green palm trees and located on the very southern tip of Honolulu, the Outrigger Canoe Club on Waikiki Beach is considered the birthplace of beach volleyball. The story goes that, back in 1915, as a way for Hawaii’s surfers to pass the time when the waves were too tame, swim coach George “Dad” Centre mounted a volleyball net on the sand between the surfboard lockers and the canoe shed. With surfers able to play in their board shorts and barefoot, it proved the perfect distraction until the ocean proved a more willing participant. Before long, the game was being played by families on California shores, and eventually spread to Europe. 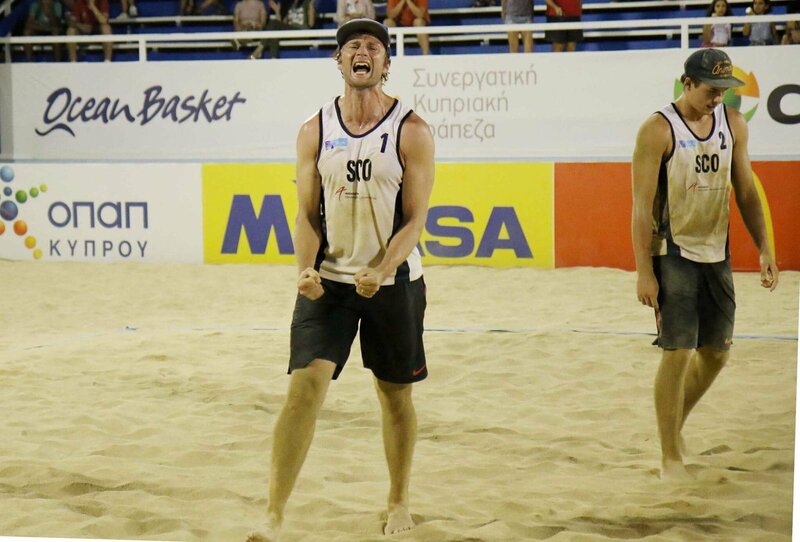 Eighty-one years after being casually invented by a man who coached the USA swimming team at the 1920 Games in Antwerp, beach volleyball would itself become an official Olympic sport, when it made its five-ring debut in Atlanta in 1996. Despite its continued global growth, it is the country of its birth that remains beach volleyball’s most successful exponent, followed closely by Brazil. The duo’s dominance at the Olympics has ensured that the game continues to be synonymous with a backdrop of lapping ocean swells, scorching hot sand, partisan crowds of bobbing shades and baseball caps, and, of course, lithe athletes wearing very little. But as beach volleyball makes its Commonwealth Games bow at the suitably glistening city of Australia’s Gold Coast, the absence of the USA and Brazil allows the sun to shine on some of the less-decorated nations. Canada, despite not boasting much of a reputation as a sun trap, clearly makes good use of hundreds of miles of coastline with the top-ranked side in both the men’s and women’s draw. Hosts Australia not only have beaches in abundance but a gold medal to their name, when Natalie Cook and Kerri Pottharst channelled the rapturous home support to overcome Brazil at the Sydney Olympics in 2000. Then there’s the rare chance for the likes of New Zealand, Cyprus, Fiji, Trinidad and Tobago, Sri Lanka, Vanuatu and even Rwanda to make a name for themselves. If beach volleyball’s holy trinity is sun, sea and sand, then Team Scotland are on a mission to prove that two out of three ain’t bad. 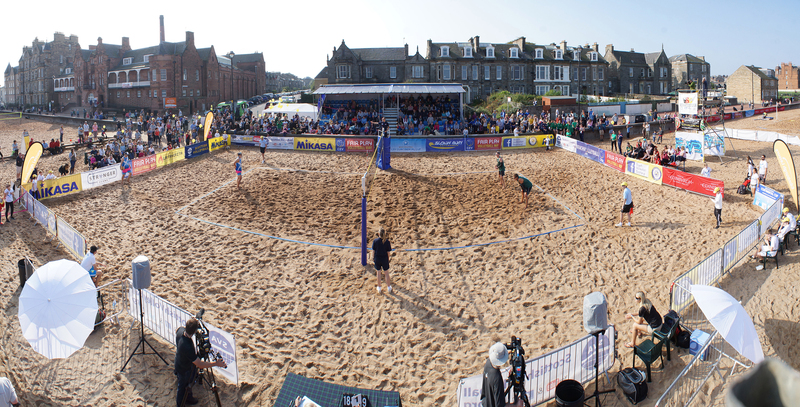 The team’s main training base, Edinburgh’s Portobello Beach, is known for many things. In 1296, William Wallace gathered his troops on the two-mile stretch ahead of the Battle of Dunbar. In 1650, it was where Oliver Cromwell held a clandestine meeting with the Scots, while the 18th century saw it become a haunt for sailors and smugglers. In the 1950s, a pre-Hollywood Sean Connery even worked as a lifeguard at the open-air heated pool. But what the beach is not so renowned for, is a sunny disposition. At 47-years-old, Coutts is one of the most experienced players in Great Britain. Her teammate Lynne Beattie is 15 years her junior but also boasts an impressive CV, having captained Team GB’s indoor team at London 2012. The men’s duo is also not short of pedigree. Robin Miedzybrodzki has played competitively around the world since moving to Bath to join the Great Britain squad in 2006, where he also studied for a degree in Civil Engineering. His Team Scotland partner, Seain Cook, plays professional indoor volleyball in Holland. Yet despite the years of experience amassed by their elite players, Scotland still does not possess a single indoor beach volleyball facility. A lack of facilities is not the only additional ball they’re forced to juggle with. With Cook the only player of the four to play professionally, it leaves the prospect of managing their training, travel and competitions around their full-time jobs. There’s something particularly incongruous about the fact that an event attracting over 60,000 in ticket sales requires some of its participants to clear the time off with their bosses. But that’s exactly what Beattie, Coutts and Miedzybrodzki had to do before travelling to the Gold Coast. “I’m a strategic development officer for sport and outdoor learning in the city of Edinburgh council,” says Coutts. “So it’s a big job with lots of responsibility and the council have been brilliant about letting me take the time off, really supportive.” Nevertheless, Coutts opted to take short career break in the months leading up to the Games as the task of mixing full-time working hours with full-time training proved too much. At least Beattie, as regional volleyball development officer in the East of Scotland, was never likely to find too much resistance to her requests for leave. Qualification for the Commonwealth Games comprised a two-year cycle that culminated in a dramatic finale for both pairs. For Coutts and Beattie, after just missing out on an automatic place, their hopes were pinned on a wildcard slot. Despite being the highest-ranked side to miss out, they were left to agonise for months about the prospect of being overlooked. Fortunately, they had continued to train in the interim before their place was confirmed in December, just four months before the Games. For Miedzybrodzki, the start of the qualifying process coincided with first-time fatherhood. Reluctant to travel the distances required to rack up the necessary World Tour ranking points, it meant resorting to an all-or-nothing route via a European qualification event. It proved to be a week Miedzybrodzki will never forget as qualification ended just as it began, with the birth of a daughter. “We were actually on holiday on a skiing trip, and I saw it flash up on Facebook that beach volleyball was going to be in the Commonwealth Games. That whole day I was out skiing and I could tell my wife knew there was something up. And then she broke the silence at the end of the day and said, ‘you want to play don’t you?’. 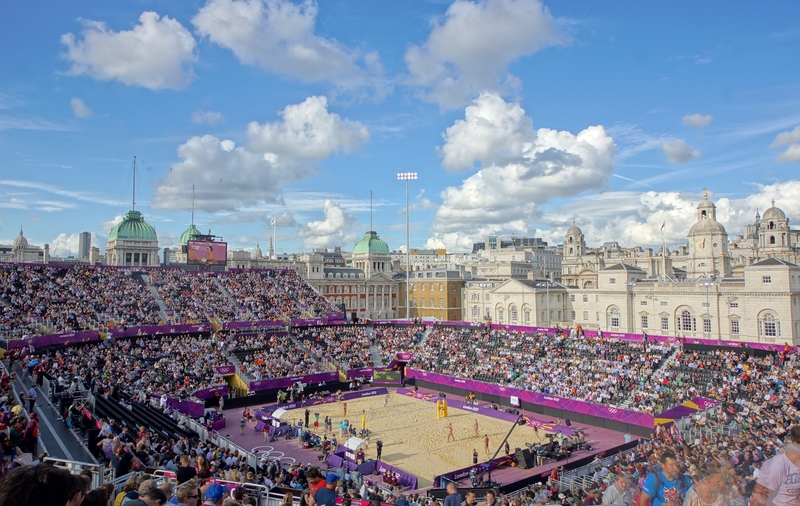 Talk of London 2012, where beach volleyball thrived in front of thousands at the picturesque and imaginative setting of Horse Guards Parade, turns the conversation to that of legacy. For all that the profile of the sport in the UK reached a peak six years ago, some players felt that not enough was done to take advantage of it. Miedzybrodzki, for one, was surprised that opportunities failed to materialise off the back of the Olympics. It’s no surprise to hear the 32-year-old align the issue with facilities and culture, and make the same comparisons to the continent as his compatriot in the women’s team. 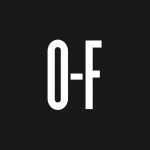 As with most non-mainstream sports, the issue of funding lies at the heart of its future success. With beach volleyball in its relative infancy on these shores, help from UK Sport and Team Scotland can stretch only so far. Instead, both teams have leveraged the support of the community, from fundraisers to local corporate sponsors, to ensure they could get to Australia with their full quota of coaches and support staff. Of course, the players are also under no illusion to how this all can change very quickly: with headline-making and medal-winning performances at pinnacle events like the Commonwealth and Olympic Games. 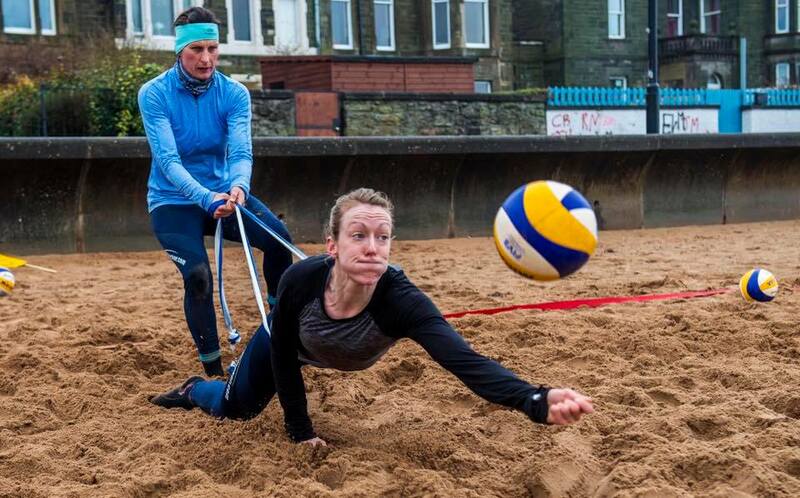 It’s not clear what the future will hold on the international scene for Team Scotland’s veteran volleyballers, but what is certain is that even after their own playing careers are over, their passion for growing the sport on home sand will remain. For them, the journey has always been about more than several days Down Under on Coolangatta Beach. While the barn is only a temporary fixture, it is hoped that the sand can eventually be used in schools, and there are even ambitions for a permanent indoor venue in collaboration with Edinburgh University. For now though, Coutts and Beattie have already made significant inroads in their quest to leave a legacy for Scotland’s next generation of beach volleyballers.